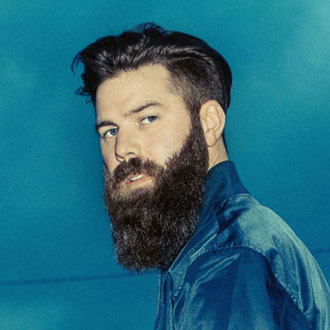 Jordan Davis is a talented, country singer/songwriter who is currently enjoying chart success with his debut single, “Singles You Up.” This song has already reached the Top 10 on the Billboard Hot Country Songs chart, and appears headed for the Top 5 or higher. “Singles You Up” is featured on Davis’ debut album called Home State, which will be released on March 23 on MCA Nashville Records (part of Universal Music). Impressively, Davis has been named an “Artist To Watch” by Billboard, Rolling Stone, CMT, Pandora, The Tennessean and Shazam. He is currently headlining his White Wine and Whiskey Tour with promising artist Jillian Jacqueline as the opening act. This summer, he will be on tour with Jake Owen and Chris Janson. Davis is from Shreveport, Louisiana, and he grew up in a family which has several musicians & songwriters. His uncle, Stan Paul Davis, wrote two country hits for Tracy Lawrence, and his brother, Jacob Davis, is a Nashville artist signed with the Black River label. Interestingly, Davis attended LSU (Louisiana State University) and studied environmental science. However, it was after he graduated that he decided to move to Nashville to write songs and become an artist. After a few years in Nashville, Davis signed a music publishing deal and subsequently secured a label deal with MCA Nashville. Around this time, he started to collaborate with Paul DiGiovanni, who has written a hit for country duo Dan & Shay and was formerly in the rock band, Boys Like Girls. DiGiovanni ended up producing all the songs on Davis’ album, Home State, and co-wrote three songs with him for the album. We are pleased to do this new Q&A interview with Jordan Davis. He tells how he co-wrote his hit “Singles You Up,” and discusses the songs on his debut album, Home State. DK: How did you get started as an artist & songwriter? I read that your uncle was a hit songwriter. Jordan Davis: Yeah my uncle is Stan Paul Davis; he wrote two number one songs for Tracy Lawrence. I grew up listening to his demos. Also, my dad wrote songs around the house and my mom played piano. My brother Jacob (Davis) is actually an artist in Nashville too; he’s signed with the label, Black River. So music was always in the family…we were always listening to music. I didn’t realize how much we listened to music until I got around some other friends, and I’m like, “You mean, you don’t have music playing all the time?” (laughs). Yeah, the (music) seed got planted pretty early. I grew up listening to songwriters like John Prine, Jim Croce and Kris Kristofferson. The seed got planted and it’s just been growing ever since. DK: You went to LSU (Louisiana State University) for college. Were you doing music in college or were you studying other things? Davis: I wasn’t studying music; I actually have a degree in environmental science. I didn’t get going writing songs until my brother Jacob started taking off around the college circuit in Louisiana. I would travel around with him and he would be playing shows, and I started writing a little more intently then. I always loved songwriting, but I didn’t think about it as a career until Jacob moved to Nashville. At the time, I had a job in the environmental field. I just realized that if I ever was going do music, I needed to go now and I made the move to Nashville. DK: When you got to Nashville, how did you sign a record deal with Universal? Davis: Well, there was about six years in-between there. I moved to town just to write songs. I never thought about the artist career path, because I had no clue (at the time) what the artist career path was. I remember being in Nashville early on writing songs, and people would ask me if I was doing the artist thing. And I never knew what it was, so I said no. I just thought that the way Nashville worked, was you moved to town and you write songs. If somebody eventually hears your songs and wants to make a record on you, that’s how you became an artist (laughs). So that’s exactly what happened. I moved to town to write songs, I signed a publishing deal about three years later, and through a pitch meeting, Universal heard a few of my demos. And that started the talks of them wanting to make a record on me. DK: You have a big hit now called “Singles You Up.” Can you talk about how you wrote this song (with Steven Dale Jones & Justin Ebach)? DK: Your debut album, Home State, is coming out soon. Can you tell me about the making of this album, and what are some of your favorite songs? Davis: Yeah. I didn’t realize it, but the oldest song on the record was written in 2014. So it dates back a little bit. The coolest thing about this is, is until I signed my record deal, I hadn’t thought about making a record the way we ended up doing Home State. At the time, I had a song called “Goin’ Round” and a song called “Slow Dance In A Parking Lot.” I knew that I loved those songs and whatever project I ended up doing, I wanted those to be on there. And I ended up with the 11 best songs I had, and we called it Home State. I was thinking about what to name the album. I didn’t just want to name it after a song, because I wanted people to listen to the whole album. And the way I came about Home State was that I’m very proud to be a Lousianian, and Louisiana was the only common thread through all these songs. One of my favorite songs on the album is called “Leaving New Orleans.” So I just felt like…I hope I represented the state well, and I hope that people enjoy it. I’m really excited for people to hear the album. DK: Since you’re from Louisiana, is “Leaving New Orleans” autobiographical? Davis: Yeah, I’ve always loved New Orleans and I think there’s a quote out there that says, “Every time I leave New Orleans, it’s really hard.” Even now for me and my wife, it’s our favorite place to visit. It’s always the day you leave from a trip to New Orleans, that you’re always kind of depressed. I think that there’s just an energy in that city that I haven’t found anywhere else yet. And so in writing that song, I wanted somebody that’s never been to the city to know exactly what it feels like, and I wanted to paint a picture with that one. One of my favorite songwriters in the world is John Prine, and I feel he did such a good job of being very visual in his songs. So I really tried to kind of channel a little John Prine in that one, and put somebody in the French Quarter. That’s one of the songs that’s very special to me. DK: “Singles You Up” is still moving up the charts. But do you know already what your next single will be? Davis: I really don’t. It’s crazy…I just had the first conversation about the next single yesterday. “Singles You Up” has just surprised me so much, the way the fans have taken a liking to it and the way radio supported it. It’s outdone anything I could think of. It’s the first song I released to the world. I haven’t thought much about this next single yet. There’s a definitely a lot of songs that mean a lot to me on this record. “Slow Dance In A Parking Lot” is one that I love. “Take It From Me” is another song that I think would be great as a single. DK: I read that the producer of your album is Paul DiGiovanni. Is that right? Davis: That’s it…Pauly D. Paul produced the whole album. He’s also a songwriter on three of the songs. I love writing with Paul—I think he’s one of the most talented guys in Nashville. You know, we just found each other through writing sessions…I got hooked up with Paul to write. He ended up making a couple of demos, and I just loved what he did. I think he knocked it out of the park (producing the album). This record definitely took a step up and it got a little more special when Paul got on board. DK: Currently, you’re on tour as a headliner. How’s the tour been going? Davis: It’s been great. Over the past three years I’ve been opening shows for people, and I’ve been blessed to open for guys like Kip Moore, David Nail and other great artists that I’m huge fans of. But to be out and headlining on my own, it means a lot more. Obviously, the crowds are a lot smaller (laughs), but I think that’s cool. I love connecting with the people that come, and I think there’s something special…I can look out and know that everybody is there and bought a ticket to see me. And having (Nashville artist) Jillian Jacqueline on the tour with me is incredible…she’s extremely talented. Man, this is why we do it. We write the songs for people to connect with them, and hopefully want to hear them live. And it’s been a great tour.